Right now I’m really watching what I’m eating, my body was screaming at me to pay attention and frankly the bloating finally got to me and I’ve given up refined sugars and wheat. Seems the perfect time to be baking right??? 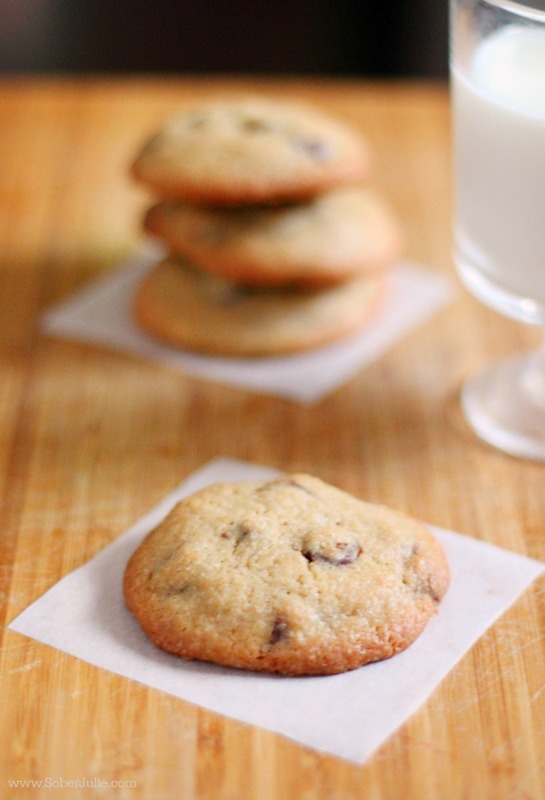 Life as a mother sometimes means baking deliciously soft chocolate chip cookies when my kids ask…. The draw to eat ALL of the cookies was strong my friends but I resisted! You may be asking why I’m sharing a recipe I’m not even eating…never fear friends, I’ve eaten dozens of these babies and they’re delicious every time. It’s a simple recipe that my family loves and I hope you do too. Preheat you oven to 350 degrees F.
Whisk the flour and baking soda together in a small bowl and set aside. Using a mixer on Medium speed with the paddle attachment, beat the butter and both sugars until light and fluffy. Change mixer setting to Low and add in salt, vanilla, and eggs. Beat for approximately 1 minute until well mixed and add in the flour mixture until it’s combined. 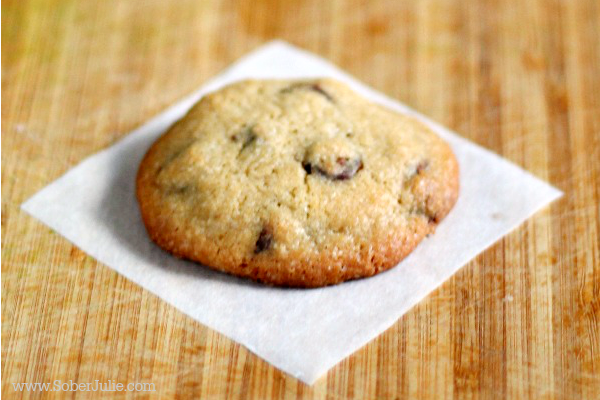 Chill your dough in the fridge until just chilled, this will prevent the cookies from over-spreading. Line you baking sheets with parchment paper and drop tablespoon sized balls approximately 2 inches apart. Bake until the cookies are soft in the centre and golden around the edges, approximately 10 minutes. Keep an eye on them as oven temperatures vary! Change mixer setting to Low and add in salt, vanilla, and eggs. Beat for approximately 1 minute until well mixed and add in the flour mixture until it's combined. These look scrumptious, pinned and printed…some goodies for the weekend, thanks!